Contact Information: Contact Holly Conaway at 844-736-8466 or Holly@ETRH.com. * Great South Tyler location! * Quick access to South Broadway! * Located in highly acclaimed Tyler ISD! * Curbed & guttered streets! * Large covered back porches (most homes)! 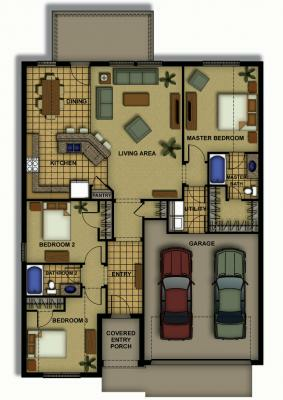 * Individual homes for added privacy! * Private fenced back yards! 5. Turn Left at Ranch Hill Dr.
6. Turn Right at Saga Dr.
Get an interactive map with driving directions! How can I help you? Just let me know. * Rental fees and conditions are subject to change.